Airedale Springs has installed a 3D printer for the production of plastic components, checking gauges and spare machine parts. 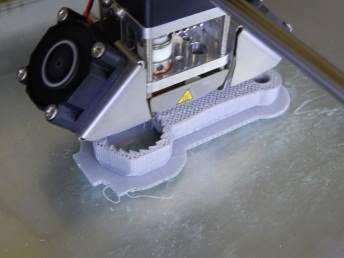 Fus ed deposition modelling falls within the general term of Additive Manufacturing although regardless of the process it is normally referred to as 3D modelling. 3D printable components are created with a computer aided design (CAD) programme. The design is then converted by a special programme called a “slicer” which converts into a series of thin layers and produces a set of instructions that the printer will understand called a G-Code file. The 3D printer follows the G-code instructions to lay down successive layers of liquid, plastic to build the component from a series of cross sections. These layers, which correspond to the virtual cross sections from the CAD design, are automatically fused to create the final shape. The printed part is quickly cooled by two fans each side of the print head to avoid the part warping. A thermoplastic wire held on a coil at the back of the printer in unreeled to supply material to an extrusion nozzle head which heats the material and turns the flow on and off. Servo motors move the extrusion head and adjust the flow. The head is moved in the horizontal plane and the table in a vertical direction. 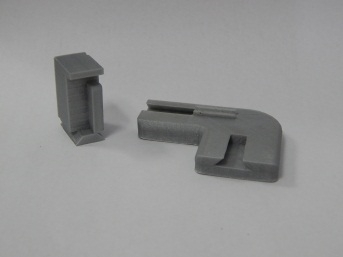 The printer can print a component within maximum size of 230mm x 225mm x 205mm. Two different material types can also be used, either acrylonitrile butadiene styrene (ABS) or a high density polythene (PLA). The layer thickness of the printer is variable and can be set between 20µm and 200µm. The primary advantage of this printing technique is its ability to create almost any shape or geometric feature. Airedale Springs has worked with a number of customers using their cad drawings to print components onto which our wire forms fit. To date our customers have been delighted that we have been able to provide this service and provide complicated wire forms and a “hard” model of their mating parts. 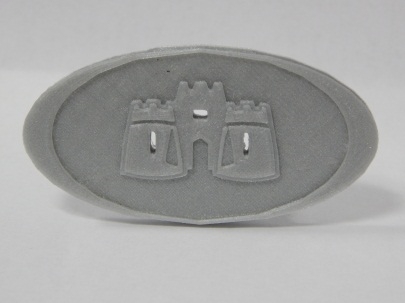 For more information on how our new 3D printing capabilities can help you, please call us on 01535 643456.